This well-known, established hotel is a popular choice with couples returning year after year. Set in spacious grounds just a short walk from the beach, the calm atmosphere creates the perfect setting for a relaxing holiday. With bags packed and the promise from Thomson holidays of a memorable holiday at the Lanzarote Princess hotel we eagerly trek our way to Doncaster Robin Hood airport for our flight to Lanzarote, this is a wonderful small airport, very clean and very efficient. 2057 and 2058 these are situated on the second floor of the hotel and are meant to be adjoining rooms next door to each other. Keys in hand reception inform us there is food waiting in the dining room for us as our first meal of our package deal, this was a welcome gesture as it had been a long afternoon and a spot of supper before bed sounded really good so of to the dining room before going to our rooms with my partner and two children we eagerly trek. The meal laid on was not quite what we ever imagined it could be, it was in the form of a buffet and quite obviously this was food left over from the earlier evenings meal. The buffet consisted of hard bread that would make great construction material for any building project, dried and curling meats that would make great patching for any leather couch with a rip, and cheese that would put any rubber power ball to shame. As you can probably appreciate the appeal of this was less than appetising so we decided to head for our rooms. Up to the second floor we wearily head, only to find that the two rooms we have booked are not next to each other, we are located on the corner apex of the hotel with a lift shaft and staff room between the two rooms. Being tired and late we decide to head to bed, I look around the room to try and find some water to drink, but there is none available , I thought housekeeping had missed this so I decide to head to bed and raise these issues in the morning. Morning comes and where up bright and early ready to start our holiday, we decide to grab breakfast first, for those of you who maybe contemplating staying here the food leaves quite a lot to be desired, the bacon at breakfast resembles meat from an anaemic fat over weight pig with the meat content at a 10/1 ratio with the fat, the sausages bounce and require expert stone mason skills to cut them and the overall heat of the mass produced offering is lukewarm at best, but I have to give the hotel one thing, they were consistent in this offering all week, but as most seasoned travellers like myself know, when we are hungry enough we will at times eat paltry food just to fill the void in our bellies. Over breakfast I had an interesting conversation with another gentleman traveller staying here at the hotel, and his comments were quite colourful and graphic regarding the food and the lack of basic amenities like fresh drinking water. From my conversation it transpires that if you are staying half board like ourselves basic amenities like drinking water are not available and I confirmed this later on during our stay, and I will explain this a little more later. This is now where the whole experience starts to go rapidly downhill. I required the use of the safe in our room as any traveller knows, a safe place for your passport and money is a must, reception was busy so I decided to leave the questions of the water and our rooms until we had everything safely put away and attended the Thomson meeting so I could meet our rep and raise not just the issue about drinking water but the other issue we found when we looked out our window for our pool view. We initially had booked rooms with a pool view only to find the view we had resembled that of a micro rainforest that obscures any views of the pool or sea. Reception obliged with a key for the safe and subsequently charged me for the privilege which was fine, so back to the room to put all our valuables away, key in safe and it won't turn, so I think to myself I must be having mental blockage , my PHD In Electronics design obviously didn't cover the insertion of a key into a lock and turning it, so just to make sure I re-read the safe instructions to make sure there were no funky design quirks to inserting a key in the safe, sure enough my reading skills confirmed I was performing this operation correctly, so back down to reception and the lady confirmed I had been given the wrong key. (For those of you that are contemplating staying at this hotel please bear in mind that some of the rooms are a long walk from reception and the corridors do not all have effective air conditioning) Feeling relieved that my intellect was still intact, back I head back with the new key, arrive at room, insert key in safe and guess what, it won't turn. Back down to reception again and starting to feel a tad frustrated, the lady on reception promises to get someone to come to the room to resolve it and asks me to go back to the room and wait. An hour passes and still no one comes, so I call reception, and the lady tells me I have to go down to reception again to book someone to come to the room, I explain to her that I had already done that and she insists that I return to reception and bring my key for the safe. Get down to reception again with my frustration level somewhat elevated, the lady asks to look at my key and then informs me I have the wrong key for the safe in my room and then gives me another key, of I go, mumbling profanities under my breath and feeling somewhat hot and bothered, get back to my room and the key still does not work. At this time I now resemble the look of a beet root with steam emitting from various orifices, back down to reception and with a firmer approach I express disdain at the morning events and she assures me that the matter will be resolved and someone will be in my room with me shortly, half an hour later a member of staff turns up at the room only to inform me the safe is fine and then gives me the correct key. The long and short of this is that this episode took up all Monday morning and by the time it was resolved lunch was being served, I missed the meeting with our appointed Thomson rep, lost the whole morning, was frustrated by the whole event and did not receive an apology from any member of staff, I found some of the reception staff abrupt and discourteous, and I had still not been able to resolve the issues of our rooms or the lack of fresh drinking water. With the first half of my day wasted I decided to leave the issue of the rooms and spend time with my partner and family and take this up with reception the next day. Tuesday morning approach reception and I am abruptly told that the issue of the rooms has to be addressed by our Thomson rep, so I explain to reception I was unable to do this because of the incident with the safe and requested if they could contact the rep for me. They refused to do so and said I would have to contact him myself, they would not even give me contact details for him. I then brought up the issue of no fresh drinking water, I pointed out that in every hotel I have stayed in all over the world drinking water has always been made available free of charge, they informed me that this is not the H10 policy unless you are fully inclusive. Travellers who are contemplating using either Thomson or any of the H10 group hotels should bear this in mind as this was not explained when we booked the holiday, there are no facilities here in the hotel such as vending machines or room service after 12-00am to get water or other beverages, at best if your lucky you may be able to beg water from staff at reception if your lucky, also there are no facilities for keeping water or other drinks cool in your rooms unless you pay extra for a fridge, and drinks within the hotel are extortionate, I will give one example, a 200 ml bottle of Coke will cost 2.40 euro, if you go out of the hotel a normal sized 330ml bottle will cost 1-10 euro. One of the problems with the island is that you cannot drink the tap water here as it is desalinated water and not fresh, because the temperatures here regularly get 30 c and above, the hotel are holding people to ransom and creating a health and safety risk factor to the guests. I decide to look around the hotel and ask various guests if they have seen the Thomson rep, I locate the desk for Thomson in the foyer but are unable to find our rep and after speaking with my partner we decide to try and make the best of the holiday and take the issues up with Thomson on our return. One of our reasons for booking half board rather than full was not to be tied to the hotel for all our meals as we wanted to go exploring the island, so we did this Tuesday afternoon and Wednesday and for all you people reading this there are some really neat places to see and I would recommend the camel rides and visit to the volcano park. Wednesday we had a full day of sight seeing and returned to our hotel room around 11-00pm, totally wiped out but really enjoyed the day out. We instate ourselves in bed and get settled but at 12-30 loud music starts playing from the staff room next to our room with various young men and women frolicking with each other, some only partially clothed, this continued until after 2-30am. Some of you may ask how do I know they were partially clothed, well the staff room has a window that faces directly onto our balcony that had no curtains drawn and the window open. I decide to go down to reception to inform them and try to get a drink from the night staff who did kindly give me a glass of water, there were no management available so Thursday morning I asked to speak to someone in management and was introduced to Erik one of the managers. I explained the evenings issues with the staff room and initially he denied there was even a room between ours and it took for him to look at a map of the hotel to even accept this, he promised he would look into this and could I see him the next morning. Friday came and my meeting with Erik did not materialise as Erik was not available, however I did manage to catch Erik later in the morning and Erik confirmed that staff had been present in the staff room and he did apologise verbally for their actions and assured me it would not happen again. I decided to raise some of the other issues with Erik but his interest in them was blaze at best and he did not want to even offer a formal written apology or a formal complaint form for the hotel, at this point I decided to text the Thomson Travel Buddy helpline. This was listed on our holiday information (82345 helpline text number), I explained where we were staying and requested that they get our rep to contact us, this was at 1-45pm, they informed me that our rep was unavailable as it was our reps day off, however they did give me our reps name (Dean), I spent all afternoon and 7 text messages for them to agree to get Dean to contact me when he was back on duty at 6-45pm that evening in the hotel. I decided to wait in the hotel foyer from 6-30pm as I had made a surprise dinner reservation for my partner at a local restaurant for 8-0pm, I waited until 7-25 pm and had received no contact from Dean and decided to text the helpline again, I received no reply from the helpline and decided to sit at the Thomson desk in the foyer of the hotel and at 7-45pm Dean turned up at the desk, I asked Dean why he had not contacted me and he informed me that he had not been asked to contact me, however while I was chatting with him he did receive a call from the helpline people and he confirmed, that was the first contact they had made with him regarding my texts, and the facts contained within them about the issues I had with the hotel. Dean did explain to me that the helpline can text him at any time even when he is of duty but they failed to do this. 3 people stumble over), to Dean and he then went to speak with Erik ( Management on duty). After speaking with Eric he returned and then asked me to join him and Erik at reception, Erik confirmed and verbally apologised for the issues I had raised but was still adamant blaming his management for the lack of basics like water for anyone who did not book full board (all inclusive). By the time we had concluded this meeting it was past 8-30pm and I had missed our dinner reservation, both my partner and I were thoroughly disheartened and we ordered room service for her children and decided to hit bed. 12-30am staff start using the staff room next to our room and wake us again, (at least they didn't play the loud music this time) this continued until 2-00am when they finally left the staff room. I again complained to the front desk and texted the Thomson help line asking for Dean our rep to contact us, only to be told that he would not be available until Sunday at 10-30 am. Sunday ( Last day of our holiday) , we pack and are ready to go, we meet up with Dean our rep and he takes a couple of photos of the chairs in the pool bar and apologises for all the hassle we have had and suggests we put in a further formal complaint on our return to the UK. We put our luggage in the storage area and wait for our bus for the airport, the hotel offer us a courtesy room to shower in prior to our return journey which was much appreciated, as we had to vacate our room by 12 and our bus didn't arrive until 6-45 pm. We only had use of the courtesy room for 30 mins from 6pm to 6-30pm but this would have been long enough to get a quick shower. We collect our key from reception head to the room only to find that the hotel has added the final insult to injury. The room they sent us to was filthy and disgusting, crisps all over the floor, bins full of dirty nappies, used towels strewn all over, even the bidet in the the bathroom was full of dirty towels with the bath and sink covered in shaved pubic hairs. We decided at this point not to shower as we felt that we would have come out with a serious hygiene issue. At this stage we decided to just leave and head home. To summarise the experience of this holiday, we feel Thomson and the management of the hotel have let us down badly, up to now we have had no response from Thomson regarding our complaint. The sad thing about this is that with good management and a little tlc at the hotel, the hotel could be a fantastic place to stay. It is situated in an ideal location and with a little work on the hotel it could be made into a 4 star hotel and not the current 2 star that I feel it is. Generally the hotel was clean, considering the building work which was going on. Some areas in our room could have used some further attention. The breakfast menu was very good but the evening meals were cold and poor quality. But thankfully the hotel is well situated for restaurants. The entertainment was not good. The piano bar was closed for refurbishment. We were told that the refurbishment works would not impact on our holiday. This is not correct. You can hear drilling and banging all day long whether you are in your room or by the pool. The noise of the refurbishments could be heard throughout the hotel whether you were in your room or trying to relax at the poolside. The breakfast menu was very good but the evening meals were very poor. The food was often cold. The only plus point about this hotel is the location. It is perfectly placed in the resort. The room we were allocated was sub-standard and when we complained the room we were given was even worse. The reception staff for the most part were surly and unhelpful. This was the first time we had been to Lanzarote and if we go again (not likely) we will not be staying at this hotel. Have visited this hotel a number of times previously. On my last visit 2 years ago I said I would not return - I should have taken my own advice. The location swayed me but the hotel is now rather old and tired. The food is not what it once was and staff in the dining room which is large are stretched as are bar staff. The manager himself admitted he was 30 staff short. Unfortunately other hotels are too far out of the town. Unfortunately, whilst we were there, a sickness and diarrhoea bug was doing the rounds which didn't help but you take your chances and it was a first for us. Sadly, next time I go to Lanzarote I will not be staying at the princess. Previous reports give a fair view overall - but do read them all and take a mid-stance - this is not as superb as a few suggest and certainly not even close to being as bad as others complain of. My only complaint would be the many luke-warm evening meals. Plates were often cold which meant that any hot food put on from the buffet was also cold very quickly! Some of the food in the self-service trays could also be hotter to start with. I told them it’s so easy to put this right but perhaps they have been told before. Hope they listen! Food choice is generally good, I enjoyed Rabbit, Duck, Ox-tail, Veal, Lamb, Pork, Chicken, a variety of Fish and was only here for a week! Breakfasts are really good. For me, the food temperature alone stops them fully deserving the 4-star rating - More than a 3, but just falls short of a 4 on cold food. This resort is growing! The promenade walk is 3 or 4 miles in each direction - lovely. Rubicon Marina is a nice evening walk. Opposite the Hotel in the Shopping Centre, DO try Mollies for great entertainment in the evening, or the Irish bar in the Town near the Harbour - also great. I will go again, I will definitely stop here if they can get the food right. 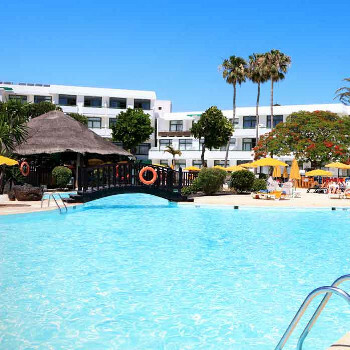 We stayed in the H10 Lanzarote Princess Hotel, Playa Blanca for two weeks all inclusive. Don't listen to the bad reports, take my word for it, it is a great hotel. The staff are brilliant, the food was fantastic, OK our room didn't have a view but it was nice. The entertainment was OK and if you didn't like staying in the hotel you don't have far to walk for the pubs and restaurants. Good hotel and pleasant island. We had a last minute Easter holiday to this lovely hotel. The rooms were large and spacious and spotlessly clean. We took two rooms one for us and next door for our daughters. The balconies joined at the rear and we could talk and exchange over the lower dividing wall at the balcony end. The food was really good and plenty of variety to suit us all. The food was always well presented. The hotel gardens were very clean and well-kept but very breezy at this time of year, although we did manage a little sun bathing and swam in the pool often. The position of this hotel was very convenient; the beach was just over the road and down a small slope. Payment for loungers on beach was extra, but not too dear. You could walk to the village and wander along the shops and come back along the beach promenade passing all kinds of restaurants and shops, and a talking parrot! We hired a car and visited some interesting places, driving through the lava fields was amazing, so much black fields of lava on this side of the island. We travelled by car at ease to see the gisas and national park and cactus gardens very beautiful and much greener on the other side of the island. We would come again to this good hotel and pleasant island. I must learn to read my own messages before posting but I think my previous posting gives an idea of what I meant. The Piano bar was very loud. The rooms were clean but too often the items taken for laundering were not replaced, communial areas did not appear to get as much attention as we thought necessary. Hotel Food - some individual items Pork, lamb etc were good, it was the vegetables potatoes chip that let it down always luke warm or cold, throw away wastage was rife from all tables, tarted up plates with salads. Location was reasonable withing easy walking distance for beach and town. Hotel Staff were pleasant although some could not understand our language, that's not a criticism, it is up to us to learn the lingo. Piano Bar could have been OK but instead of background music everything was blasted out so conversation was impossible, went out into town because the bingo bar was very poor. I doubt if I would return to Lanzarote but I wouldn't rule out this hotel because I class it as a reasonable 3 star establishment. I do not like the H10 membership class sysyem, we were moved to make way for someone else with more H10 points than us because being first timers we didn't have any. Our 11 day stay earned us 705 points, when we reach 4000 we will qualify for a kettle in the room. Like a cuppa, bring your kettle, cups etc. This place is brilliant! I would go back and stay here in a heartbeat. First impressions as we arrived on the bus to Playa Blanca, was that all the other hotels looked so pretty and nice and we were worried what we were going to get. But we needn't have worried. It maybe wasn't quite as grand as some of the ones we'd seen, but it was more than enough for us. Check in was very smooth and quick, everyone very friendly and helpful. We were told that the restaurant had now closed (9.30pm), but as we have arrived late there would be a cold buffet laid out at 10.30pm, so that was very good of them. We had a family room, so this meant a ground floor room. No view as such, but still looked out on to the pool, and was perfect for us. The room was nicely decorated, quite fresh feeling. Definitely clean feeling. I've arrived in hotels before where you don't really want to sit on the sofa as it feels a bit mucky, but this was the complete opposite. We settled into the room very easily and for the 7 days we were there, it felt like home. Maid service was every day, and they swept the floors, made the beds and changed our towels every day. We hired a mini bar fridge for the week as the room doesn't have one, that cost us 15 euros, but well worth it. We also paid for the safe, not sure how much we paid for that, but we did get back a 10 euro deposit. Food was sort of varied. There are 3 theme nights where some of the food is representative of different countries. But at the same time there is always more plain choices to have. They serve pasta each night, freshly cooked with ingredients of your choice and the sauce of your choice. There is a grill on every ngiht with different fishes or meats. Each night there was a pizza of some description and always chips on offer. Always lots of fresh breads, and loads of cheeses. Salad on offer every night too. Desserts, there were plenty to choose from. Always about 8 flavours of ice cream to serve to yourself, along with various different flans and sponges and cakes. The only thing I craved for by the end of the week was to be served our meal, I did miss the fact that we were eating out every night, but yet we were serving ourself, but it wasn't a problem, I just think you tend to eat too fast when it is a buffet service. Lunchtimes, meals were served in La Choza bar outside. The menu had plenty different sandwiches on it, along with more substantial meals if you prefer. This was waiter service, but then we were paying for this. Had lunch from there 3 times, and was happy with our meals each time. The location in perfect. When you leave the hotel, you only have to cross a road and walk down a short path to get to the beach promenade. You can walk into town this way, or just down the main road, which is about 5-10 mins walk with the shops starting after about 4 mins walking. The staff were generally all friendly. No real complaints until the last day actually, when I had to go to reception about the key not working. I was a bit dissapointed at the 'reception' I got from the lady there. She argued that our key needed to validated - I told her that my husband had checked the night before that they had a note of our late checkout and confirmed with them that we'd be leaving about 5pm, but had not been told that the key would stop working after 12pm. I was more annoyed at her for not just saying sorry about this misunderstanding. She then told me we have to settle the bill, I said we'd be doing this when we check out. It so happened that it was this same lady who checked us out, and my husband had been no more impressed by her attitude and dissapointed that she hadn't asked how our stay had been, or hadn't wished us well in our journey home, we expected this as common courtesy. Despite, her, every one was fantastic and friendly and helpful. Entertainment, hmm, well is that what is was called?? Firstly, I think that the hotel doesn't necessarily need to put on much enetertainment. Perhaps a disco each evening might have been enough. There is a mini disco for the kids earlier int he evening, then there is bingo, and then the vening entertainment, provided by the same poor souls that have been running round after the kids all day and geeing people up to play mini golf, or pool, or water polo etc etc. It was quite frankly, terrible! The first night we went in, they were doing short sketches. This was hilarious, but for all the wrong reasons. Gradually people were leaving, and we decided to do the same. We tried another evening when it was a Grease theme. It wasn't the worst thing in the world, but all it seeemd to be was 5 people miming a grease soundtrack in the background and going through each song, one by one. Wasn't funny, wasn't silly, wasn't very entertaining. But do not let that put you off, as it really was not necessary to have this entertainment. In the bar, there was more entertainment, this time it was 2 guys on a piano, sometimes singing, sometimes on saxophone. But they were pretty good. I would absolutely go here again, and will recommend this hotel to all my friends.